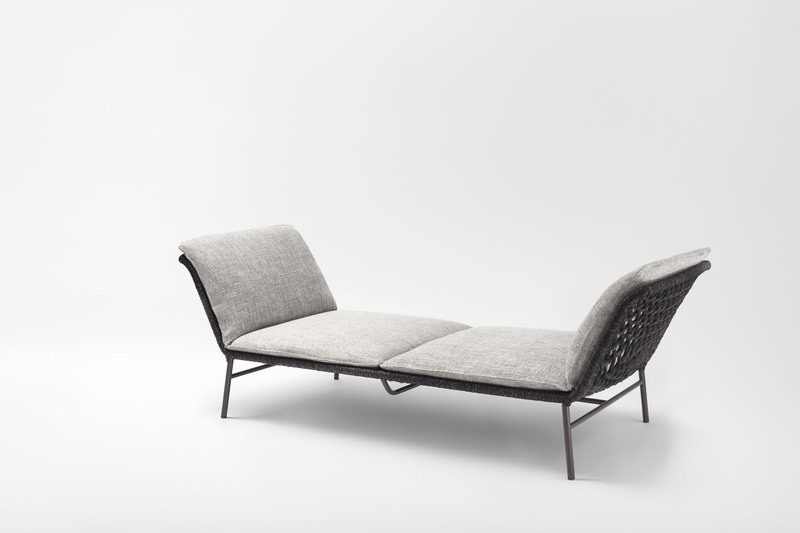 Daydream is an indoor/outdoor daybed we designed for Living Divani, based on the idea of ​​giving life to a very simple and practical object that is almost primitive and a bit rustic in its appearance and in the way in which it is produced. It is a structure on which a hand-made net hangs and creates a container for the pillows. 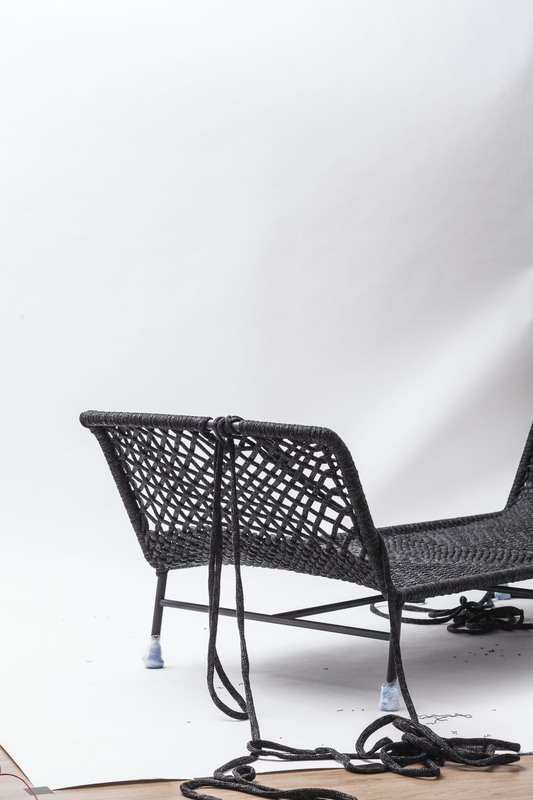 It can be used indoor or outdoor and, thanks to its rather generous dimensions and its shape, two people can sit on it and face each other. Given this possibility, namely, of sitting opposite another person, the intention of creating a means of promoting social interaction and stimulating dialogue between people can be realized.